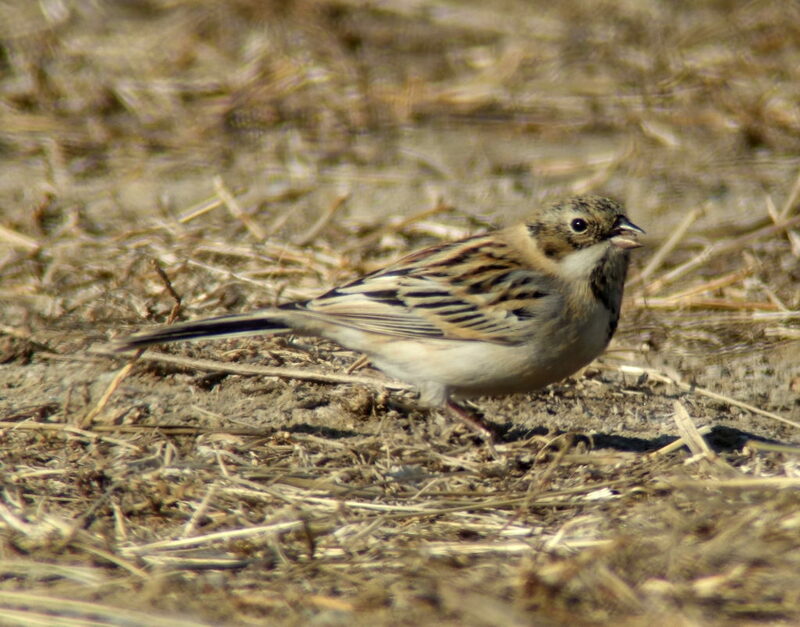 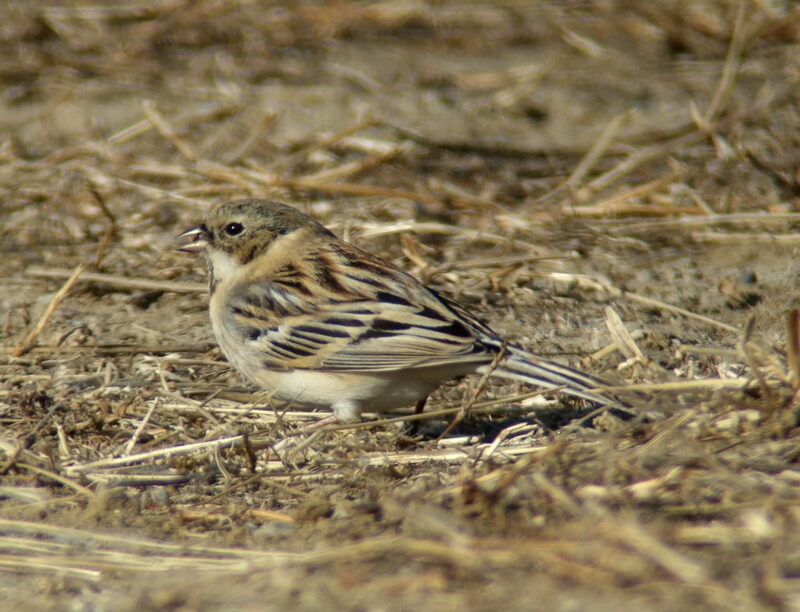 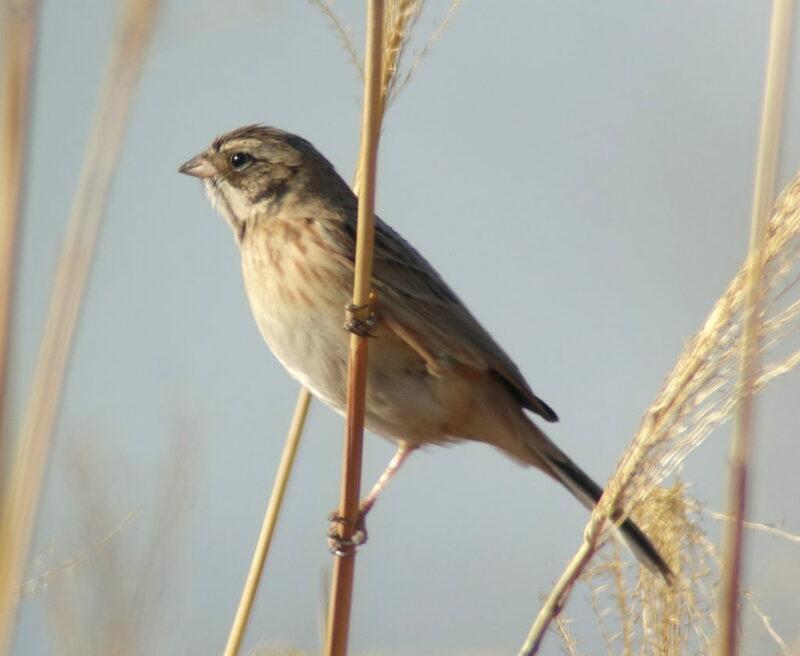 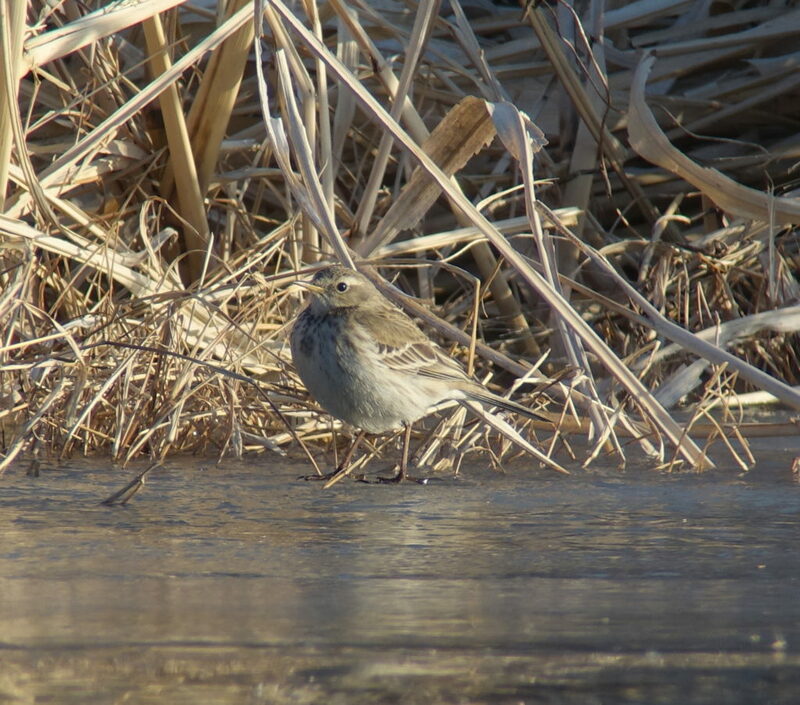 A 10-km hike along the Nakdong River north of the estuarine barrage in very bright and cold conditions (with a minimum -8C and a high of 2C) produced a total of 66 species, with several highlights, including at least two Water Pipit (assessed as V1 in the 2018 Birds Korea Checklist). 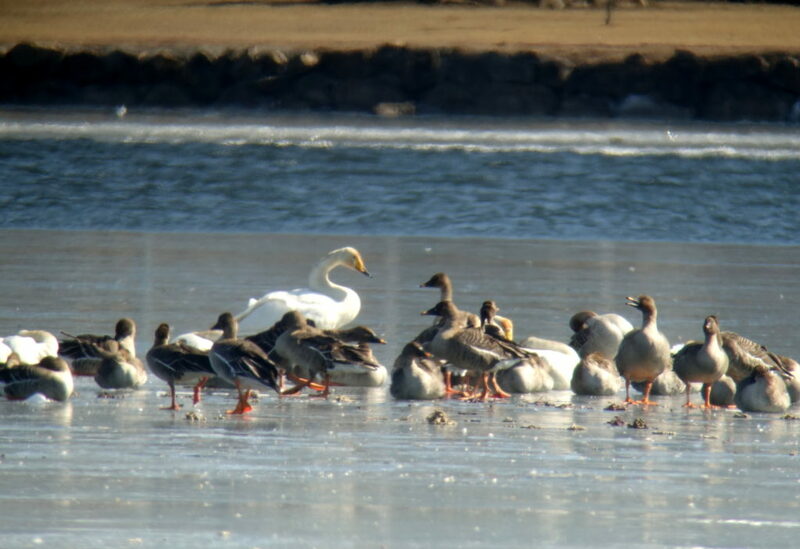 Much of the river and landscaped wetlands were frozen – unusual for this mild and largely dry southeast corner of the Korean Peninsula – with Taiga Bean Goose (920) and Whooper Swan (420) the most numerous waterbirds, and only small numbers of ducks seen, including e.g. 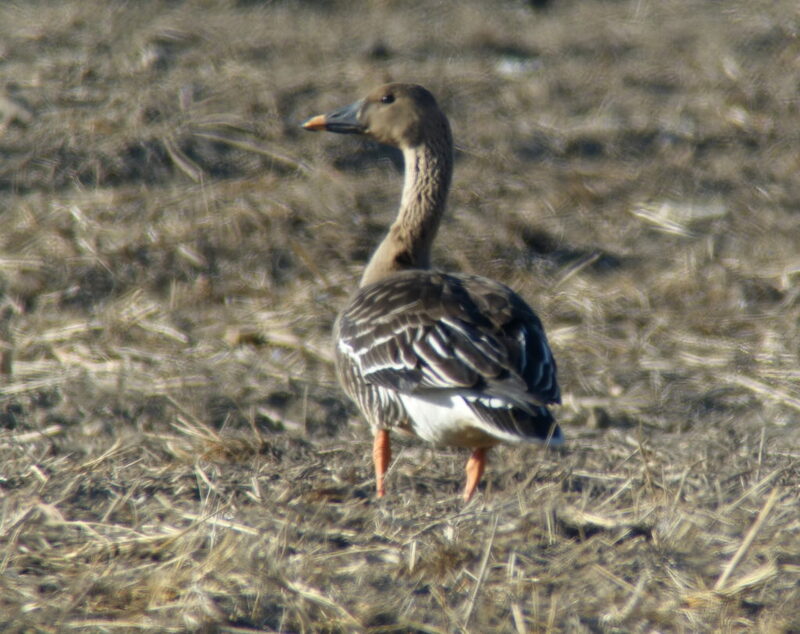 150+ Eastern Spotbilled Duck, 100+ Mallard, 45 Eurasian Teal and two Falcated Duck. 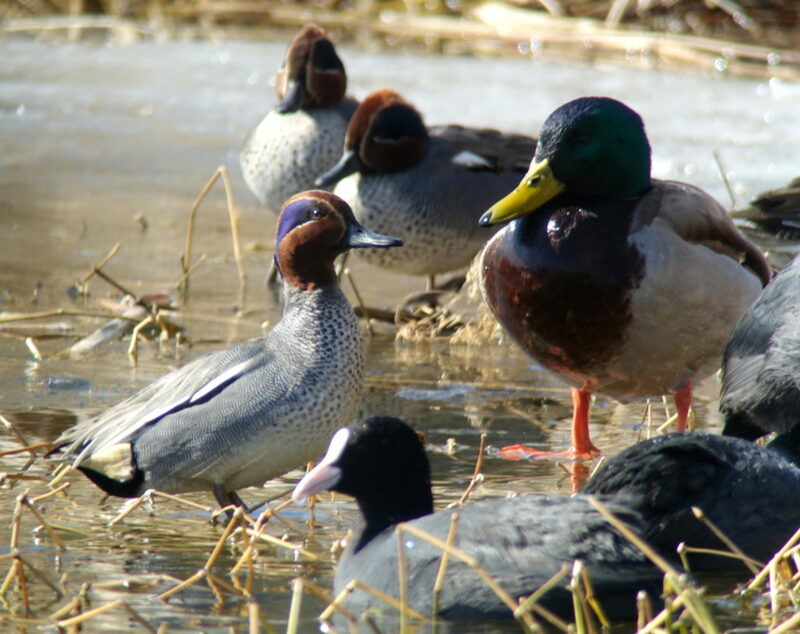 Eurasian Teal Anas crecca, with Mallard Anas platyrhynchos and Eurasian Coot Fulica atra © Nial Moores, adding some much-needed colour to an otherwise very brown-toned day! 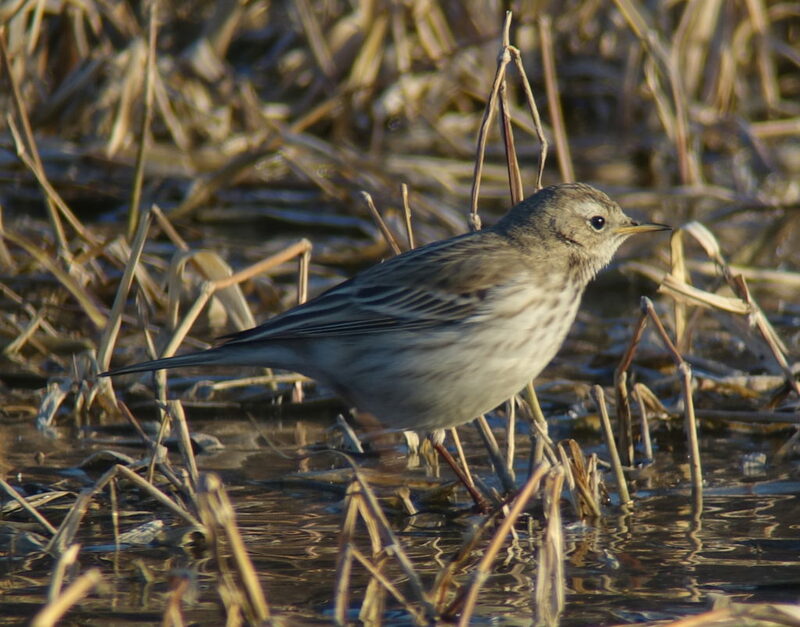 Water Pipit Anthus spinoletta blakistoni, at least two. 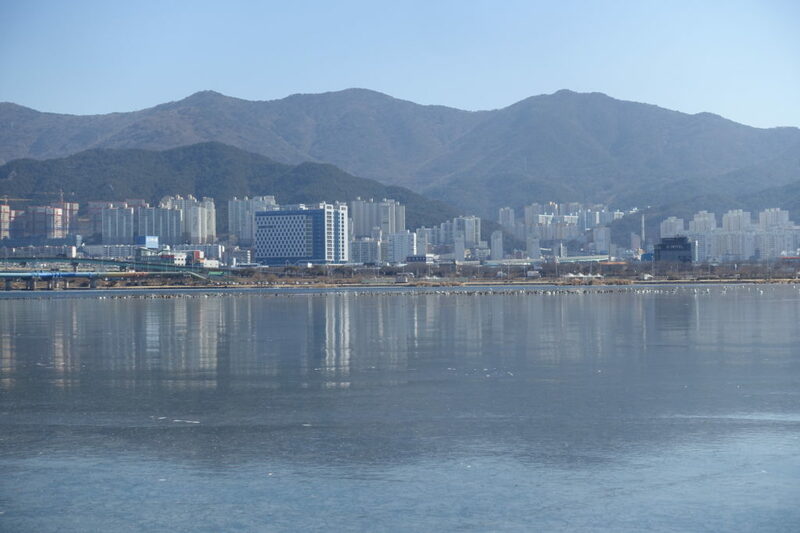 This species is considered to be a national scarcity, and this was my personal first record in Busan. 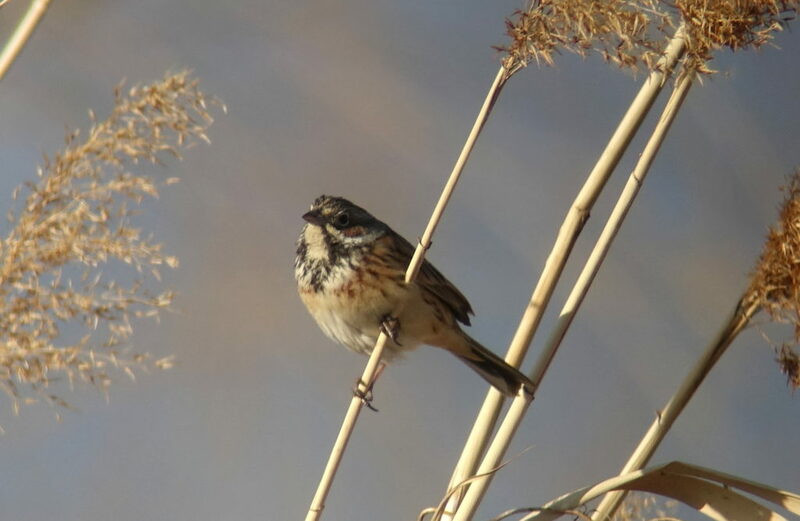 One was seen well, with another seen and heard overflying the other, with the call a thin, single note, sounding almost squeeky and breathed-in, “uPheet” or “uPheez”, when compared to the very similar but more emphatic, exhaled calls of Buff-bellieds, often given in a triple note sequence, “Phweet Phweet-Phweit”. 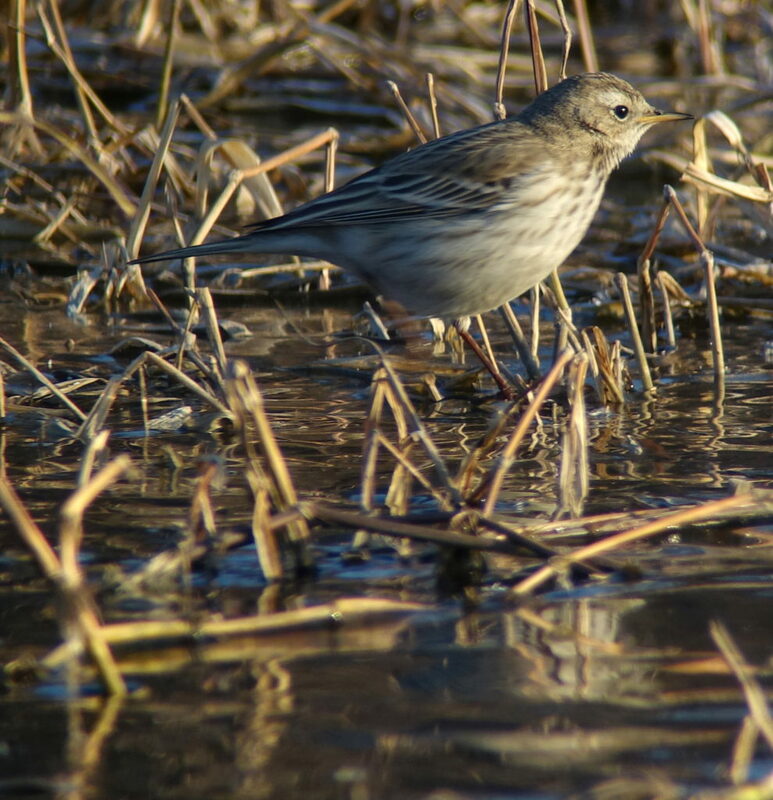 In direct comparison with Buff-bellied Pipit, the well-seen individual looked extraordinarily pale (especially above), with a longer bill (more extensively orangey-yellow than Buff-bellied), had blacker toes and duller legs, and a more rapid, wagtail-like striding walk. 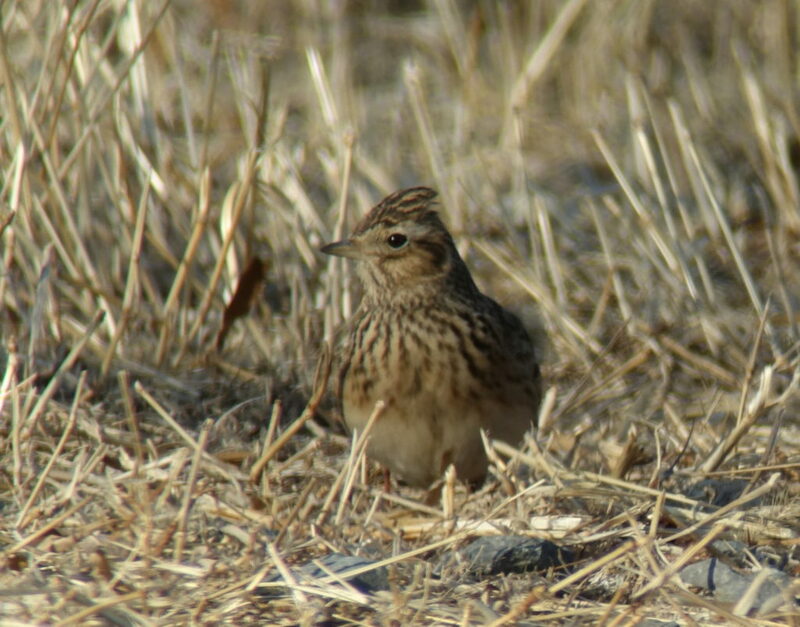 Plumage details separating the two species include the fuller supercilium (extending to the forehead); “fuller” lores (near-concolorous with the ear coverts); greyish nape tones; and less extensive, finer, browner-toned underpart streaking – though with a spottier-looking breast. 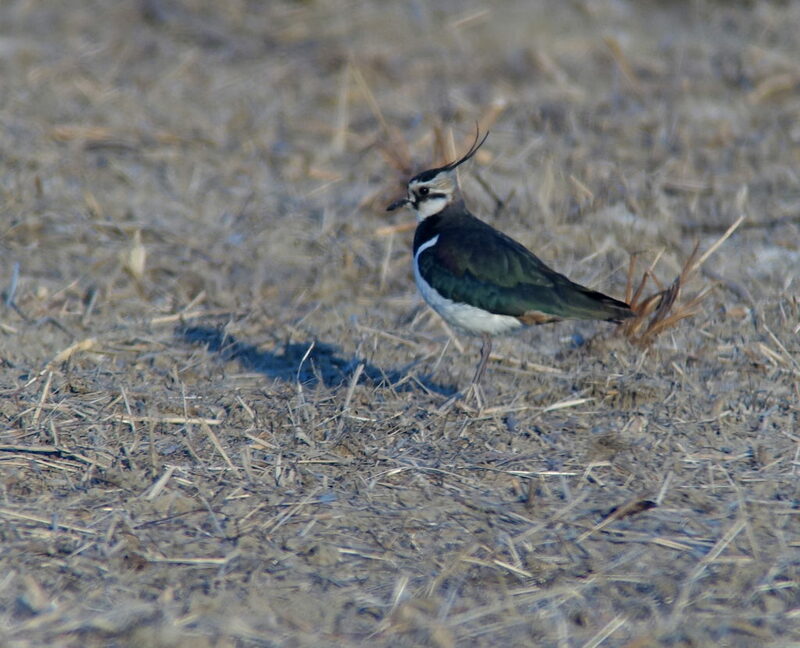 Of particular interest, one was seen in this same area back in December 2014 by Jason Loghry. 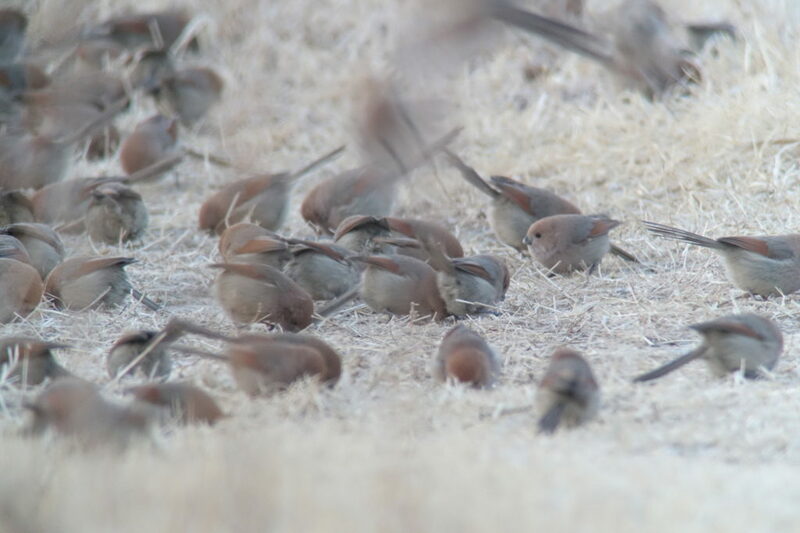 This is my first time to bird this area in winter. 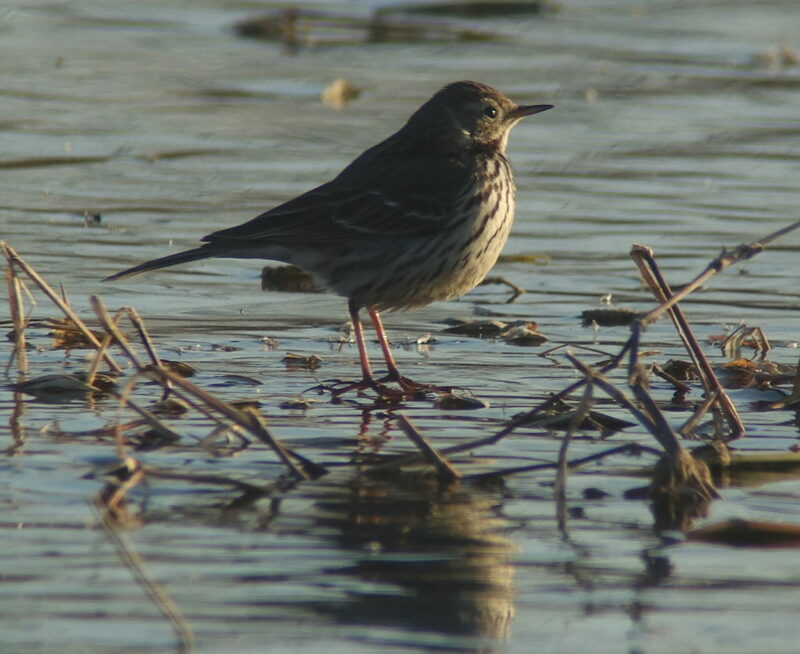 It left me wondering whether Water Pipit might be regular here in winter, being overlooked amongst Buff-bellieds?